POS | POINT OF SALE | Synconics Technologies Pvt. Ltd.
Payment methods: Set customer prices or offer percentage-based discounts on either a single product or the entire order. Parallel orders: Put orders aside and process multiple orders at the same time. Customized receipts: Advertise your current promotions, hours of operation and upcoming events on your printed receipts. Weighting at the counter: Calculate product weight during checkout with the electronic scale integration. 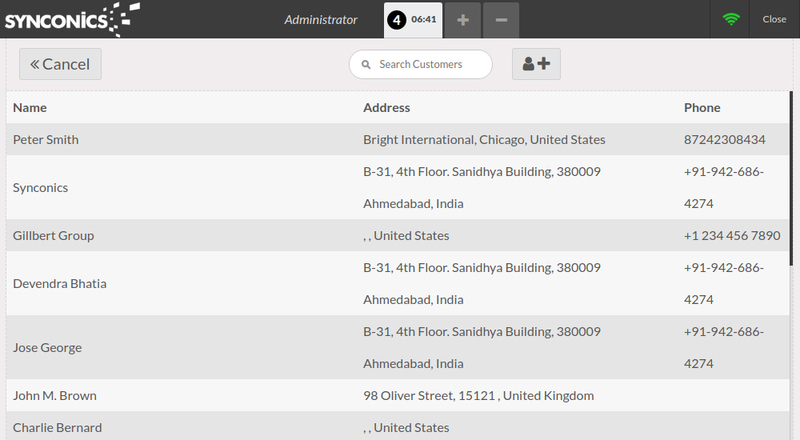 Blazing fast search: Quickly find your customers and products with the built-in search features. 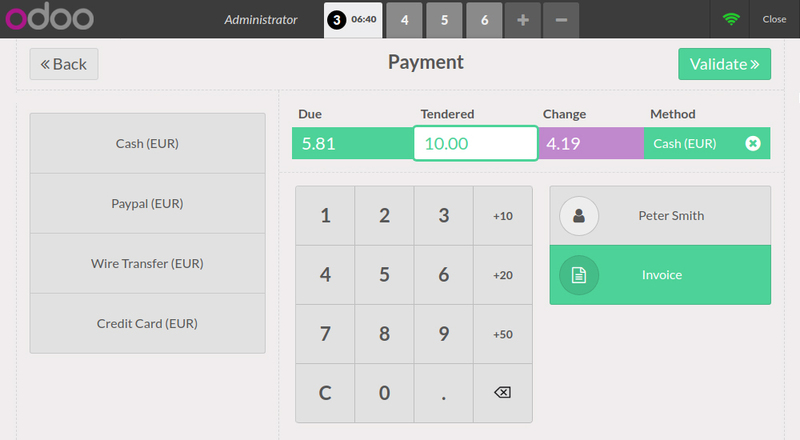 Multi-step checkout (Coming Soon): Sell at one Point of Sale and pay at another with multi-step checkout. Sell on the move: With iPad and Android tablet support, sell anywhere within your store or restaurant. Dynamic barcodes: Embed price, weight and discount information directly into your barcodes. Inventory app automatically inputs any transaction from the POS in the stock. You can see in real time the availability of products without losing time. Furthermore, the POS is compatible with eCommerce. You won't need to setup separate stocks for the two apps and be a truly multi-channel business, without headache. Order history: View all past orders as well as search by customer, product, cashier or date. Daily sales: Keep track of daily sales and totals for every payment type. Cashier accounts: Manage multiple cashier accounts and secure them with badges or pin codes. Cash flows: Monitor cash register adjustments and easily verify cash contents at the end of the day. Stock & Inventory: Monitor your stock in real-time, manage your inventory across all locations and review shipments with the stock integration. Franchises: Pre-configure your franchises stores, overview their sales and centrally manage their stock & accounting. 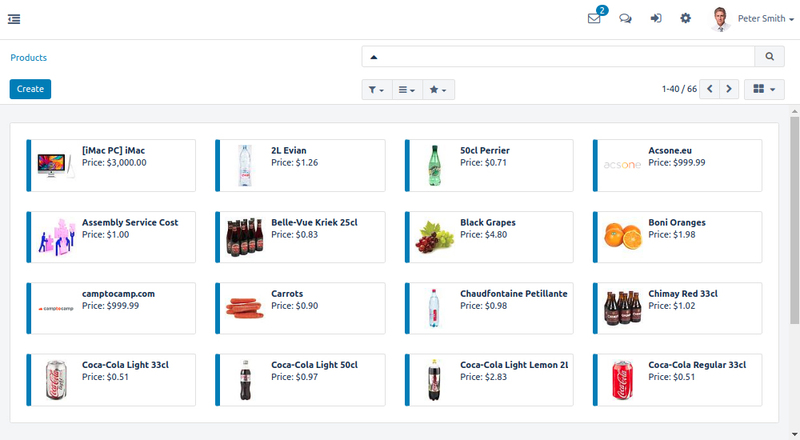 Product categories: Organize your products with hierarchical product categories. Order them by popularity and display different categories in different point of sales. 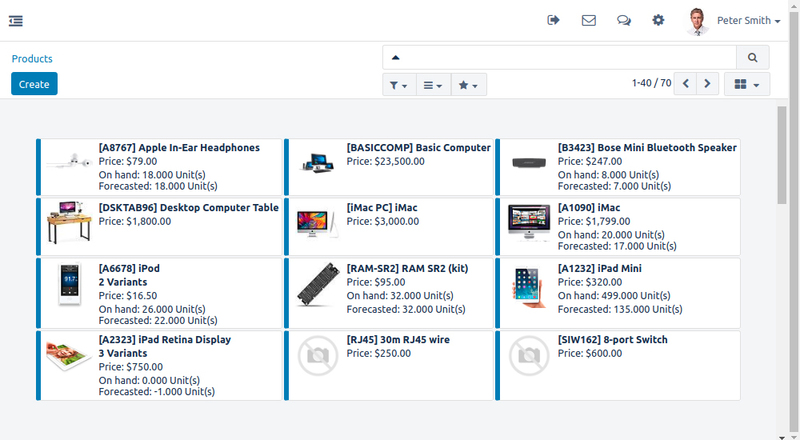 Product Search: Quickly find products by their name, barcode or description with the built-in search function. Units of measure: Sell your products with custom or preset units of measure and update your stock accordingly. Multiple barcodes: Configure multiple barcodes for the same product with barcode nomenclatures. Product variants: Sell different sizes, colors or configurations of the same product with product variants. Large product count: Point of Sale system is capable of performing at a scale of over 100,000 products. Keep in touch with your customers & keep them coming back with loyalty programs. Register customers: Identify your customers by simply registering their email and contact address, allowing you to offer discounts and keep track of individual sales. Identify customers: Look-up your customers with the built-in search feature or identify them with a barcode printed on their loyalty card. Business Customers: Register your customer's VAT number and apply them to invoices. Loyalty Cards: Reward your customers with loyalty points and exchange them for gifts or discounts. Points can be earned by product, by order or by sale amount. Browser support: POS is a web-based application and can be deployed on any device and OS running Chrome, Firefox, or Safari. Microsoft Windows, Apple OSX, Linux, Android and iOS are all supported operating systems. iPad first: POS is best used on a recent iPad or Android Tablet of comparable size and performance. 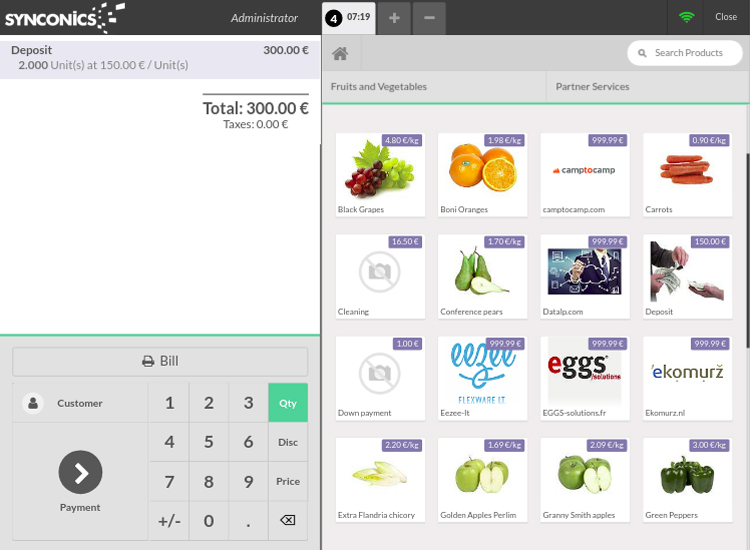 PC compatible: POS can also be used on standard PCs and tablets as well as industrial touch-screen terminals. Works offline: POS will keep working while offline. The web browser can be closed offline without loss of data. 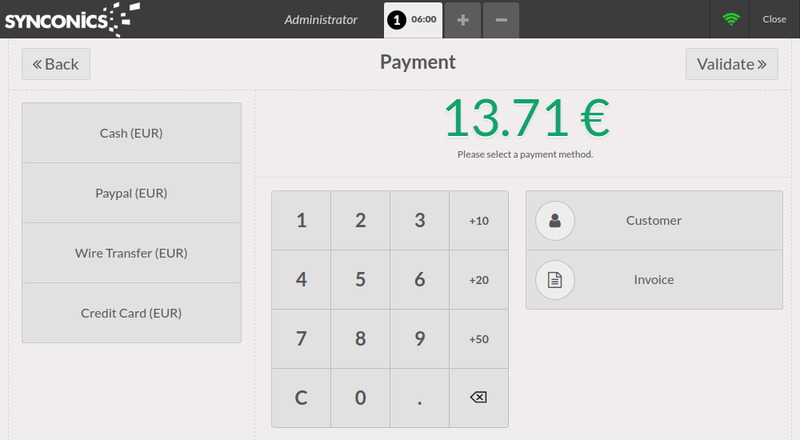 HTML5 mods: POS is Open-Source and can be customized with HTML5/JS extension modules.